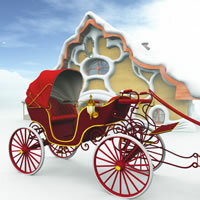 Locate content that is specific to holidays. You can drill down to specific holidays. 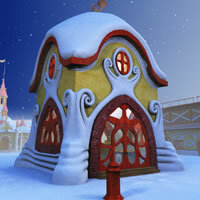 Toon Santa's Christmas themed Boot Repair Shop. 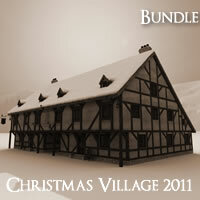 Available in a Pro version, Poser/DAZ Studio, Vue, Bryce, Shade and Blender versions. 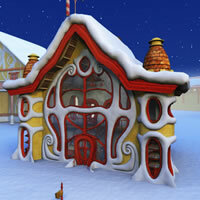 Toon Santa's Christmas themed North Pole Candy Shop. 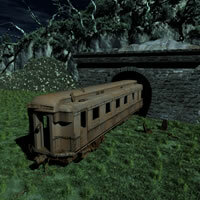 Available in a Pro version, Poser/DAZ Studio, Vue, Bryce, Shade and Blender versions. 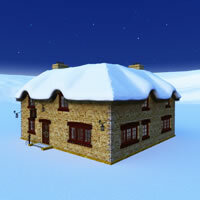 A 3d Christmas model in the Toon Santa's Christmas Village 2011, noted for its British Christmas theme. 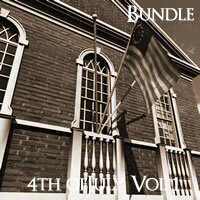 Versions available for 3D Studio MAX, Shade, Vue, Bryce, Poser and DAZ Studio. 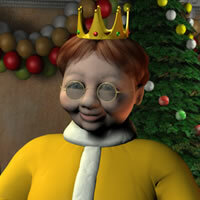 Christmas Elf Boy Dormitory is a 3D model of Christmas Village 13 series. Available in a Pro version, Poser/DAZ Studio, Vue, Bryce, Shade versions. 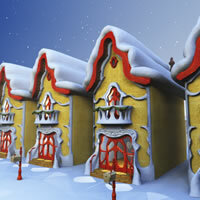 Christmas Elf Girl Dormitory is a 3D model of Christmas Village 13 series. Available in a Pro version, Poser/DAZ Studio, Vue, Bryce, Shade versions. 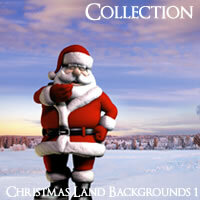 A collection of 24 2400 x 1800 background images for use in your artwork. 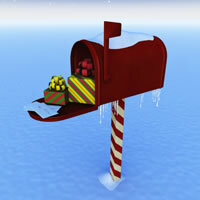 Christmas Mailbox R2 is a customizable Christmas themed mailbox with snow, icicles, letters and presents for Shade, Vue, Bryce, Poser and MAX. 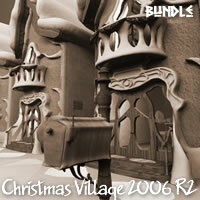 All eight Toon Santa's Christmas Village 2006 R2 building models in one complete set. 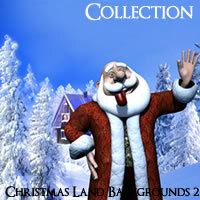 Available in a Pro version, Poser/DAZ Studio, Vue, Bryce, Shade & Blender versions. Updated for R2 versioning. 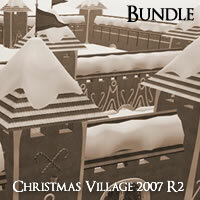 All eight Toon Santa's Christmas Village 2007 R2 building models in one complete set. Available in a Pro version, Poser/DAZ Studio, Vue, Bryce, Shade versions. Updated for R2 versioning. 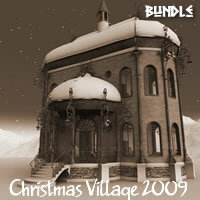 All eight Toon Santa's Christmas Village 2008 R2 building models in one complete set. Available in a Pro version, Poser/DAZ Studio, Vue, Bryce, Shade versions. All eight Toon Santa's Christmas Village 2009 building models in one complete set. Available in a Pro version, Poser/DAZ Studio, Vue, Bryce, Shade versions. 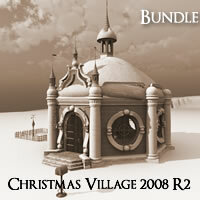 Toon Santa's Christmas Village 2010 is a complete set of 8 models themed for Christmas and Steampunk. Available in MAX (Pro), Shade, Vue, Bryce and Poser / Daz Studio format. 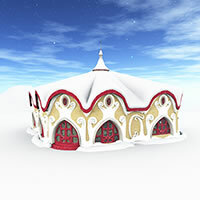 Toon Santa's Christmas Village 2011 is a complete set of 8 models themed for British style Christmas and the North Pole. Available in MAX (Pro), Shade, Vue, Bryce and Poser / Daz Studio format. 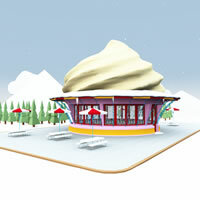 Frosty's North Pole Ice Cream Stand based on googie 1950s style themes Available in MAX (Pro), Shade, Vue, Bryce, Blender and Poser / Daz Studio format. 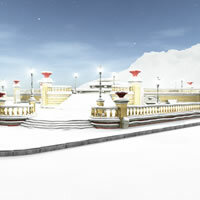 Holiday nightclub in the North Pole based on googie 1950s style themes Available in MAX (Pro), Shade, Vue, Bryce, Blender and Poser / Daz Studio format. 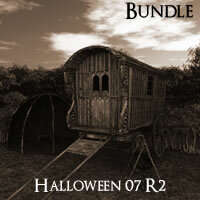 Halloween 07 is a set of 8 3d models based on the holiday themes. 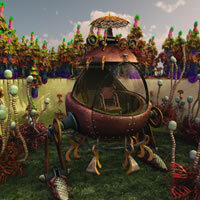 Available in formats: 3D Studio MAX (PRO), Shade, Vue, Poser / DAZ Studio, Bryce, Blender and 3DS. The 3DS version is included with other versions. 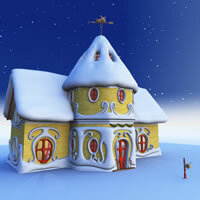 Toon Santa's Christmas themed Helper House. 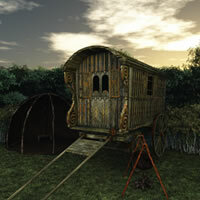 Available in a Pro version, Poser/DAZ Studio, Vue, Bryce, Shade and Blender versions. 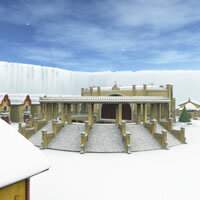 Toon Santa's Christmas themed Ice Rink. 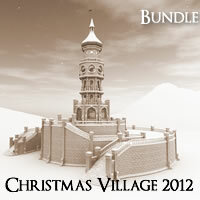 Available in a Pro version, Poser/DAZ Studio, Vue, Bryce, Shade and Blender versions. 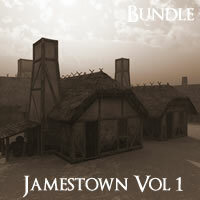 Get all seven publicly released models in Jamestown Volume 1 R2, plus the bonus model. Available for Shade, Vue, Poser, Bryce and MAX. 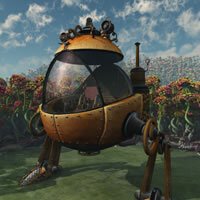 A steampunk walker mech - egg shaped and ornate. 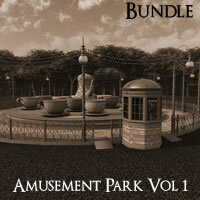 Available for Shade, Vue, Bryce, Poser, DAZ Studio, 3D Studio MAX. 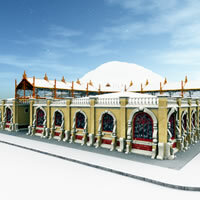 North Pole Central Park is a Christmas themed Victorian style urban park for the home of Santa. Available in MAX (Pro), Shade, Vue, Bryce and Poser / Daz Studio format. 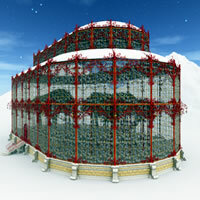 North Pole Conservatory is a victorian glass building for growing things. Available in MAX (Pro), Shade, Vue, Bryce and Poser / Daz Studio format. 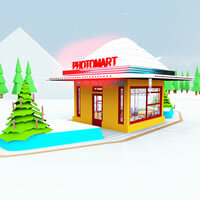 North Pole Fotomart Film Kiosk based on googie 1950s style themes Available in MAX (Pro), Shade, Vue, Bryce, Blender and Poser / Daz Studio format. 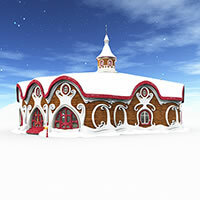 North Pole Market is a Christmas themed shopping area frequented by Santa. Available in MAX (Pro), Shade, Vue, Bryce and Poser / Daz Studio format. 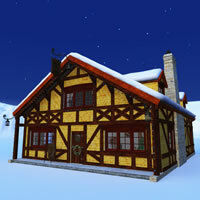 North Pole Mayor's House is a 3D model of Christmas Village 13 series. Available in a Pro version, Poser/DAZ Studio, Vue, Bryce, Shade versions. 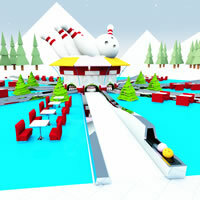 North Pole Open Air Bowling Alley based on googie 1950s style themes Available in MAX (Pro), Shade, Vue, Bryce, Blender and Poser / Daz Studio format. 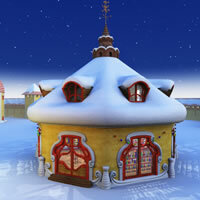 North Pole Open Theater is where Santa's elves go to watch a play or opera. Available in MAX (Pro), Shade, Vue, Bryce and Poser / Daz Studio format. North Pole telephone booths are found on every streetcorner. Available in MAX (Pro), Shade, Vue, Bryce and Poser / Daz Studio format. 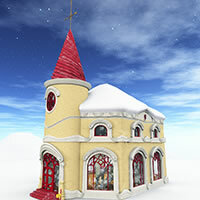 Toon Santa's Christmas themed Ornament Shop. 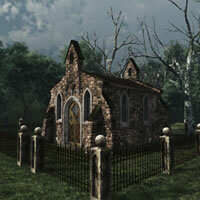 Available in a Pro version, Poser/DAZ Studio, Vue, Bryce, Shade and Blender versions. 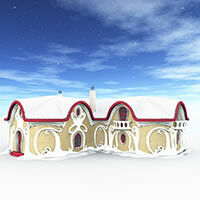 Toon Santa's Christmas themed Post Office Available in a Pro version, Poser/DAZ Studio, Vue, Bryce, Shade and Blender versions. 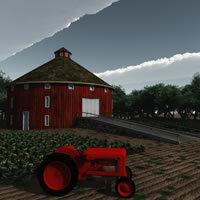 Round Barn and Tractor is a 3D model in the Halloween 07 series of models. 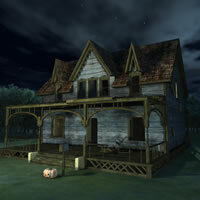 Available in formats: 3D Studio MAX (PRO), Shade, Vue, Poser / DAZ Studio, Bryce, Blender, and 3DS. The 3DS version is included with other versions. 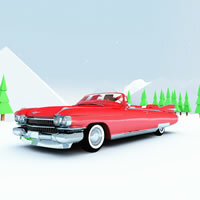 Santa Claus favorite 1950s era car and a part of Christmas Village 15. 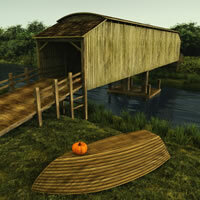 Available in MAX (Pro), Shade, Vue, Bryce, Blender and Poser / Daz Studio format. 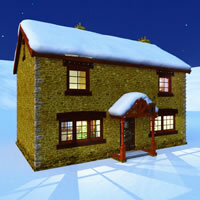 Santa's Cookhouse is a 3D model of Christmas Village 13 series. Available in a Pro version, Poser/DAZ Studio, Vue, Bryce, Shade versions. 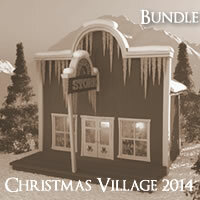 Santa's Dining Hall is a 3D model of Christmas Village 13 series. Available in a Pro version, Poser/DAZ Studio, Vue, Bryce, Shade versions. Taika the Elf girl character is a cute female Christmas Elf girl for use with Poser 7 or higher and DAZ Studio 4.5 or higher. 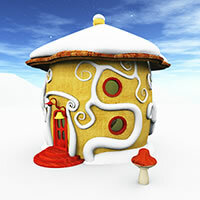 Taika's House is a 3D model of the house of a Christmas Elf. Available in a Pro version, Poser/DAZ Studio, Vue, Bryce, Shade versions. 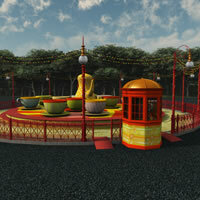 Tea Cups Ride is a 3D model in the Amusement Park 3d series of models. 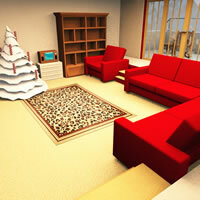 Available in formats: 3D Studio MAX (PRO), Shade, Vue, Poser / DAZ Studio, Bryce and 3DS. The 3DS version is included with other versions.